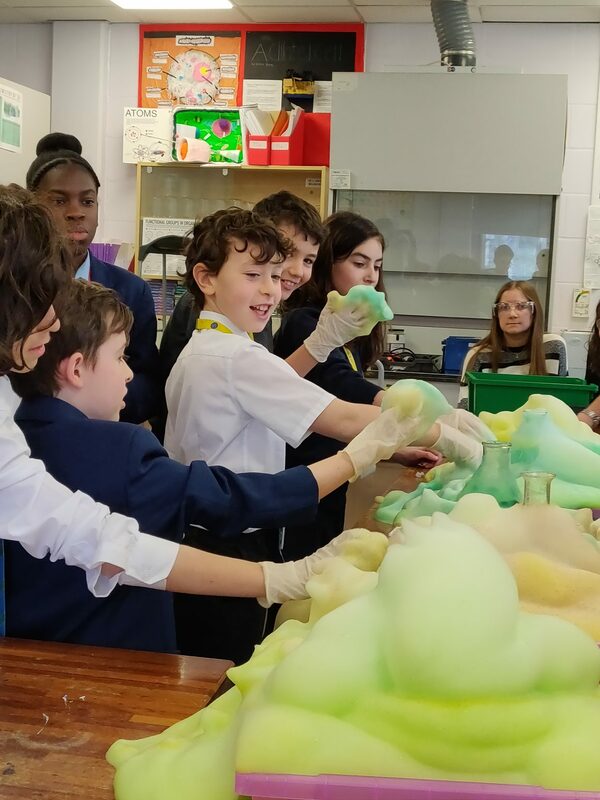 Last week was Science Week for the whole of the UK and as usual the Science Department, together with some Year 13 students, ensured JFS was a part of it. Ariel Flint-Ashery, Rafi Levy, Maya Robinson, Ruth Davis, Ben Magrill, Abigail Gibson, Elliot Berke, Yuval Ben-Arzi, Emma Taylor, Celine Fisher, Nadav Grunberg, Omri Porat, Joshua Parks, Avigail Harris, Simona Harounoff, Rebecca Harounoff, Emily Haberfeld, Lola Sofer-Yadgaroff, Samuel Bass, Gideon Davis, Joel Wolinksy, Regan Gishen, Josh Wise, Jordan Harris, Jake Tottle, ably supported by Science staff, pulled out all the stops to create a series of wonderful activities that all students and staff were able to enjoy for five consecutive lunchtimes. There were bangs, whizzes, ice cream making, theoretical talks and other experiments across many themes of Science. Our warm congratulations go to the Year 13 students who were able to match the high standards of previous years for this highlight of the Science calendar.